I am not sure why it has taken me so long to put this recipe together. After all, I see this question asked in one form or another at least on a daily basis in the Divi Facebook Groups. 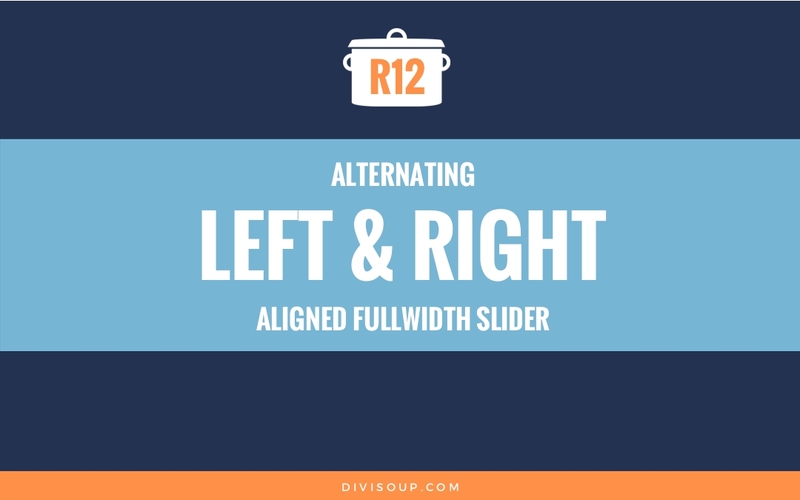 Way back in 2016 I wrote this post on alternating left and right aligned fullwidth slider and this post on aligning the fullwidth slider text left or right. With all the updates, those are quite outdated now, and they didn’t cover the fullwidth header, standard slider or vertically positioning your content. So in today’s recipe that is what I am going to cover. 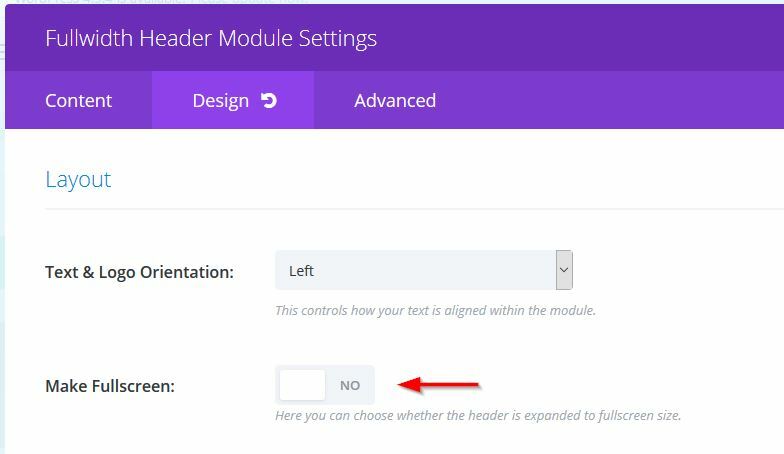 I will show you how to add a little CSS so that you can control the height of your module, regardless of the amount of content, and position that content at the top, middle or bottom. 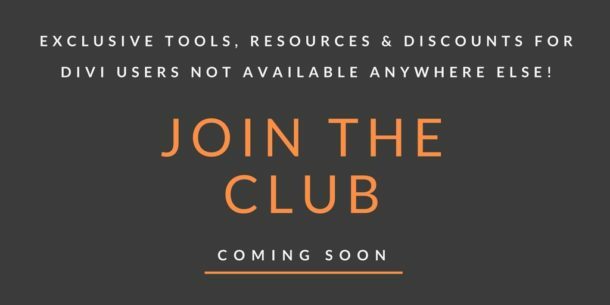 An active child theme. 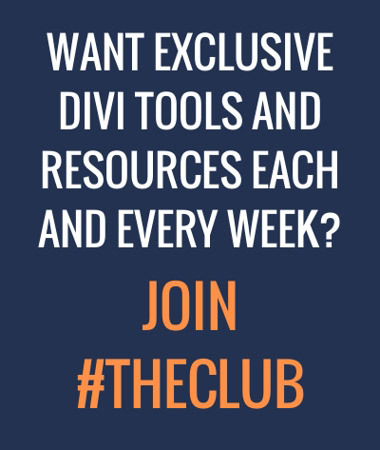 You can add the CSS to Divi’s Theme Options but its not much fun editing it in there! This should only take around 5 – 10 minutes per module. For the prep you just need to add the module (Fullwidth Header, Fullwidth Slider or Standard Slider) to your page and add in your content. That’s the title, subtitle, buttons and body content. If using a slider, just add a single slide for now, once we have all the settings in place you can just duplicate the first slide and swap out the content. Open up the the module and in the Advanced tab, add a custom class of ds-fw-header, then save and close the module. Firstly, we set the display of the header to flex, this allows us to position the content where we want it. The align-items property is what positions the content, flex-end will position the content at the bottom, flex-start at the top, and center in the middle. 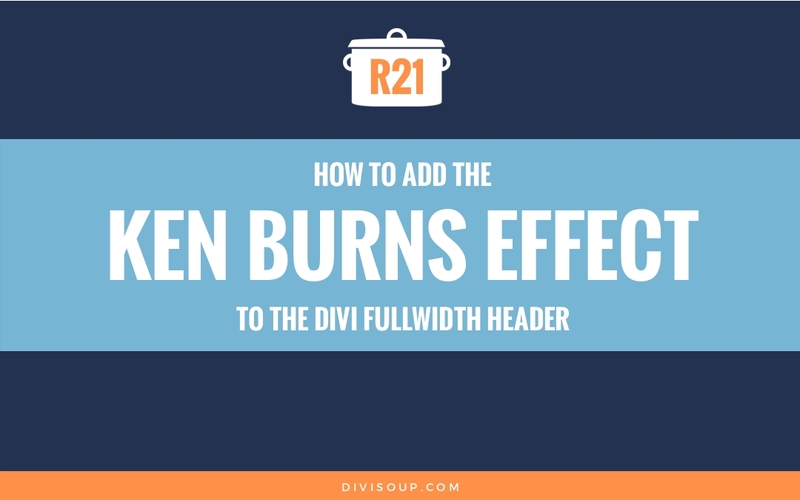 We also remove the default padding which is what usually controls the height, and instead add a min-height and height value of 50vh, which is 50% of the screen height, and these are the value you want to adjust to get your header the height you want it. Next we need to get rid of/change the spacing (padding and margin) Divi adds by default. First we set the container to be fullwidth and remove the padding. Then we set the header content container to fullwidth also and decide our own padding value, I have chosen 2% here but you can adjust this to whatever you want. We then also remove the margin so that the content container spans the width of the screen. 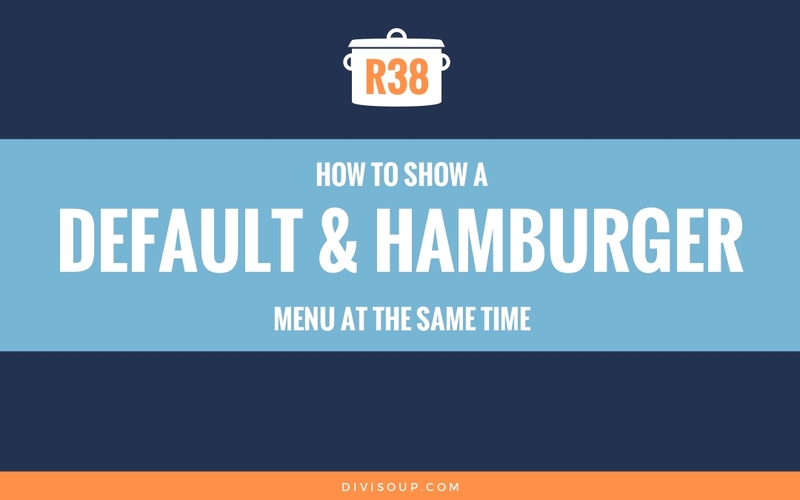 This means that if you wanted to add a background colour to your content for example, you can do that and the background will span the width of your header and sit flush on all sides, depending where you have decided to align it. If you want a little space around, just add some margin back in. That’s all the CSS you need, unless you are using the fullscreen option in the settings. Again you can change flex-end to flex-start or center. It will be centered by default. In the toggle below is the complete CSS for the Fullwidth Header with vendor prefixes and commenting, copy and paste into your child theme stylesheet or Custom CSS box in Divi > Theme Options. Open up the the module and in the Advanced tab, add a custom class of ds-fw-slider, then save and close the module. First, we set the slide container display to flex to allow us to position our content. Then we position the content using the align-items property. flex-end will position the content at the bottom, flex-start at the top, and center in the middle. We also set the container to fullwidth (default is 80% or 1080px maximum). We then set the padding for our content at 2% but you can change this to whatever you want. Next we remove the default padding for the slides and set the min-height and height to 50vh, which is 50% of the screen height. This is the value you want to adjust to get your module the height you want it. And finally, we adjust the width of the content container, remove the margin (so it spans the width of the module) and the padding (we already set the padding in the container above). If you want to add a background colour you can do this here and also adjust the margin value to increase the space around the content. In the toggle below is the complete CSS for the Fullwidth Slider with vendor prefixes and commenting, copy and paste into your child theme stylesheet or Custom CSS box in Divi > Theme Options. Open up the the module and in the Advanced tab, add a custom class of ds-reg-slider, then save and close the module. First, we set the display to flex to allow us to position our content, then we use the align-items property to position our content. flex-end will align to the bottom, flex-start to the top, and center to the middle. Then we add some padding to create some space around the content. You can adjust this value if you want more or less space. And finally, we remove the padding from the description (we already set padding above in the container). You can add a background colour here if you want it and the content will be flush to the edge of your slider on all sides, depending how you have it positioned. If you want a little space around that, just add in some margin. In the toggle below is the complete CSS for the Standard Slider with vendor prefixes and commenting, copy and paste into your child theme stylesheet or Custom CSS box in Divi > Theme Options. Note: These settings do not take into account the slider controls, if you have those switched on and have your content aligned to the bottom, you will want to add a little bottom margin so your content does not sit on top of them. 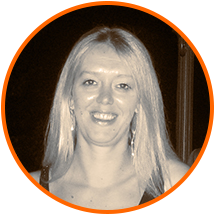 Thanks Michelle – This was the perfect fix for my home page slider! Thank you for this article. I followed the instructions for full width slider and it worked! I had struggled for so long in the settings and could not work out what to do. Thanks so much for this! Super clear, and solved a BIG problem I had!! This worked so well for me! Thank you for writing this tutorial. I love all your tips. How is it possible to manage the spacing in height between text, image and button ? No, the CSS in the recipe is correct. 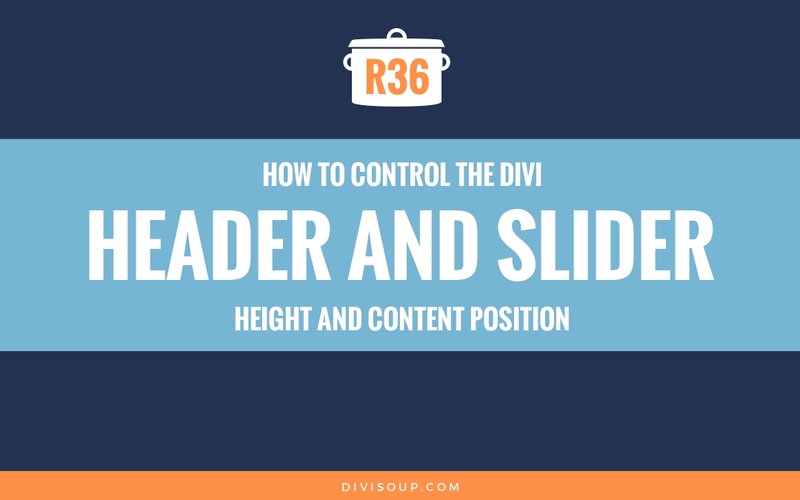 This Divi How to Control the Divi Header and Slider Height and Content Position is such a great post on how to achieve this. It is exactly what I needed. 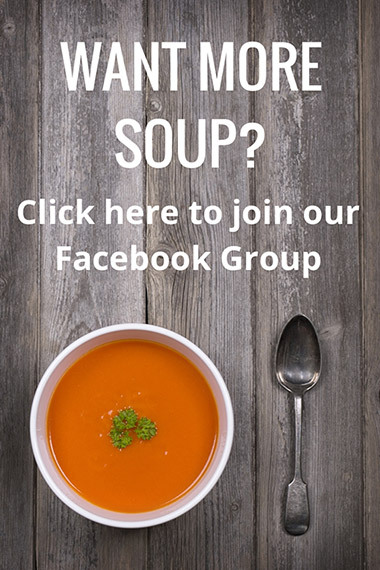 In fact, all your Divi soup recipes are excellent. Hello and thanks for the fine tutorial. One small question: what bothers me a bit is that on smaller/mobile screens a good deal of the slider (and the images of course) is being cut of. That sort of defies the purpose of the slider for me. It want to show my photos the way I chose to crop them Is there a remedy for that? In a way like I would set a background image to «fit» instead of «cover». Do you know of a way to do that with flex as well? Thanks for this tutorial, it really helps me. What i like to know; which dimensions do you use for the image in the full-slider? It depends, I always use 1920px wide for any fullwidth header or slider. If I am going to have it fullscreen then 950px high and if not, a percentage of that epending how tall I want it to be.